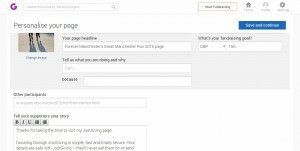 It’s easy to set up a Just Giving page to support Forever Manchester. Just Giving is an easy way to raise money online. The money comes straight to Forever Manchester, saving you hassle and allowing you to just focus on raising money for your event/challenge. 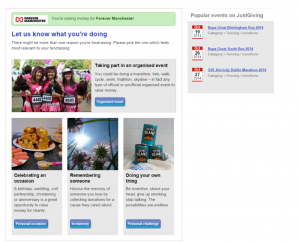 Below is a step-by-step guide to get you going on Just Giving, enabling you to raise money to help us to support community groups across Greater Manchester. 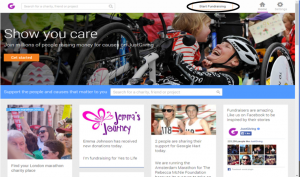 If you don’t currently have a JustGiving page, follow the guide from step one. If you do, sign in and follow the guide from step three. 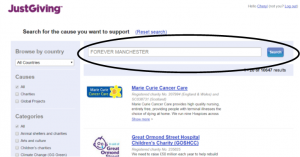 Scroll down for a guide on how to keep your JustGiving page up-to-date. 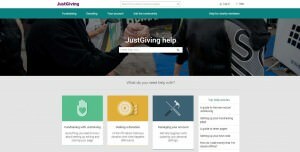 Step 1: Visit www.justgiving.com and click on sign up in the top right corner. Step 2: You will now see the page in the image below. 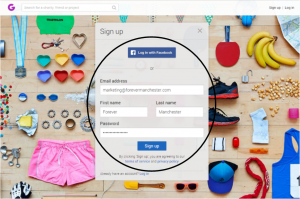 Here you can either sign up via Facebook or enter the relevant information into the boxes below then click ‘Sign Up’. After you’ve clicked ‘Sign Up’ you will be asked to enter some personal details and a picture. Step 5: Forever Manchester will then pop up with our logo and a short line about what we do. Click on our name to select us as your chosen charity. Step 7: Depending on your choice, next you will be asked to fill in some small bits of information (i.e. event date). You will also be asked to select your JustGiving URL – this is the link you will give to people to donate, so try and make it as memorable as possible. Step 8: Next you will be asked to personalise your JustGiving page. Here you can choose a headline, your fundraising goal, let us know why you’re taking part. It’s best to be as detailed as possible here so we can shout about what you’re doing. Let us know why you’re doing it, and if it’s for anyone, with anyone else or if it’s because the work of a community group or project in your area has inspired you to raise money for us. 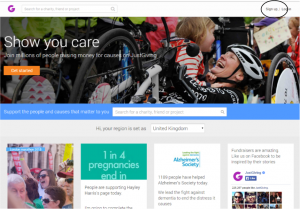 Step 9: You will now be greeted with your shiny new JustGiving page. On this page you can see what your donors will see. It will have all the information on it you entered earlier in the process. There are also options at the top to directly post your link onto Facebook or Twitter and also to ‘Edit your page’ in case you want to change any of your original information or add new team members. 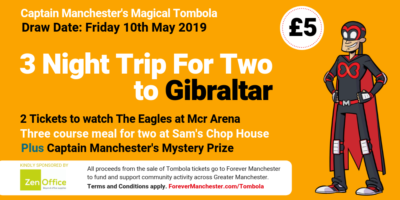 For any other tips and hints, visit JustGiving’s FAQ page that we touched on in step 10 or alternatively email marketing@forevermanchester.com.